The first double sovereign was struck in 1485 for Henry VII, although it may have been intended as a treble sovereign. It was produced from the same dies as the sovereign, but on a thicker, heavier flan. It is thought that they may have been struck for presentation purposes only as piedforts, literally "heavy weight". They are extremely rare. This early type of double sovereign was also issued for Edward VI in 1553, and these also are extremely rare. The modern two pound gold coin was introduced in 1820 and is often called a double sovereign. The design generally reflects that of the sovereign, so that the reverse usually features Benedetto Pistrucci's magnificent rendition of Saint George slaying the dragon. The gold double sovereign, was first struck in 1820 for George III, although it was not issued for circulation, being only a proof pattern coin. The modern sovereign had been re-introduced in 1817. An ordinary circulation version was produced in 1823, and obviously proved quite popular as specimens turn up quite frequently in worn condition. A further proof-only version was produced in 1826 for George IV as part of the Coronation proof set, but like the 1820, this was not intended for circulation. Although no five pound coins were issued for William IV, double sovereigns were struck in 1831. This also was a proof-only version, not intended for circulation. None were produced bearing Queen Victoria's young head. All of the above proof coins are rare and expensive. In 1887, a larger quantity of two pound coins was produced on the occasion of Queen Victoria's Golden Jubilee. They were produced in proof editions, and for only the second time, a normal circulation type version. 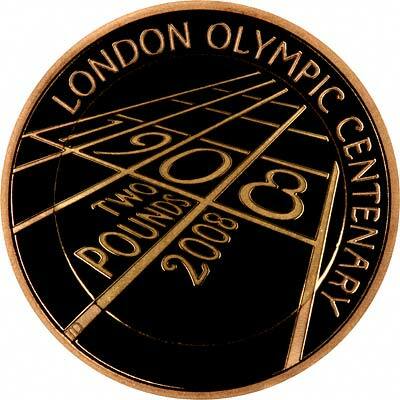 Similarly in 1893, two versions of the two pound piece were produced to mark the change to the "Old Head" coin issues. In 1902 there was a coronation issue of coins which included another two pound coin, again in two versions. A small quantity were also struck as proofs at the Sydney mint. These are extremely rare. Only small numbers of two pound coins turn up which show much sign of having been used in circulation, although more than for the five pound gold piece. These are all from the four issues of 1823, 1887, 1893, and 1902. It is evident from this that the two pound gold piece was never really much used in everyday transactions. Future issues were never used for circulation. George V's coronation in 1911 was marked by the issue of proof coins sets, some of which included a gold two pounds. Although pattern coinage was prepared for Edward VIII, no British coins were issued bearing his portrait, even for collectors. For the coronation of George VI, proof coin sets were issued in 1937 including a two pounds. For the coronation of Elizabeth II in 1953, proof sets were issued, but contained denominations from the crown down to farthing. Gold coin specimens were produced, but none were issued, even for collectors. 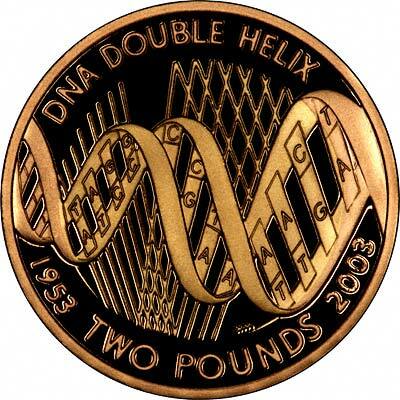 In advance of decimalisation in 1971, a department was created at the Royal Mint to produce, package and market coins for collectors, and in 1980, two pound double sovereign gold coins were once again issued, and this production has continued in most years since, often only in proof versions. Gold two pounds are a worthwhile and interesting addition to any collection of British coins. The story of the gold two pound piece would not be complete without a mention of the "new" base metal £2 coins. In 1986, a new two pound coin was introduced which we believe was intended for circulation, or at least to test public reaction. It was struck in nickel-brass, measured 28.4 mm, and weighed 15.98 grams, exactly the same weight as the previous £2 gold coin. 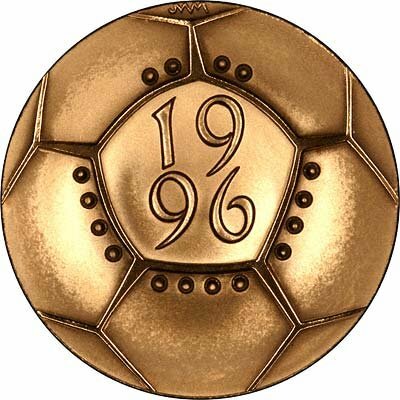 It then continued to be produced until 1996. It met with only limited popularity as a circulating coin, being rather thick and heavy, at a time when most other coin denominations were being reduced in size. From 1997, a new bi-metal two pound coin has been produced, which seems to have become quite widely accepted in circulation. Although it retains the same diameter, it is thinner and lighter, weighing only 12.0 grams, and this appears to have contributed to its popularity. It now looks set to become a common sight in our change after only just over 500 years! The reasoning behind the issue of circulating two pound coins is similar to the logic which dictated that the pound note would be replaced by the pound coin. The ten shilling note disappeared shortly before decimalisation is 1971. Because notes wear out quickly compared with coins, it is more economical to produce coins providing that the public are happy to use them. Small denomination banknotes can last less than six months, whereas coins can easily last more than a hundred years. Until 1999, all of the base metal two pound coins have featured a different design in each year of issue, sometimes two different designs in the same year. It has been announced that it will frequently be used for commemorative purposes. We have already described the original gold two pound coins. When the Royal Mint introduced the new base metal two pounds intended for circulation, they also issued silver and gold proof versions for collectors. 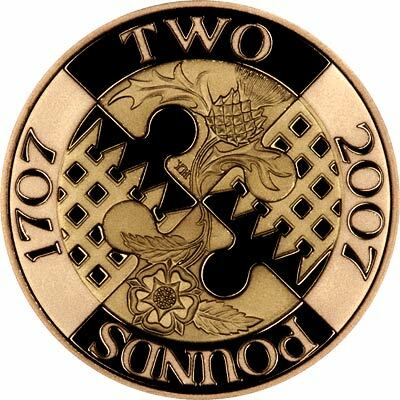 The two factors have merged to create a new regular issue of gold two pound coins, although the origin and tradition of each type shows through in the different designs chosen for them. The original type of two pound coin, which we will call a double-sovereign, continues to be produced using the familiar reverse design of Pistrucci's St. George and the dragon. The modern series of gold two pound coin is based on the new base metal circulation type two pound coins, often with a commemorative design. They are unified in both being produced at the same weight, fineness and gold content as each other. Whether you collect just the traditional type, just the new type, or both types, could be a hard decision to make. Whichever you decide, we believe that gold two pounds are a worthwhile addition to any collection of British coins. The increase in their design and production in recent years must add to the interest factor for many collectors.